Sandrone Barolo - Good Food RevolutionGood Food Revolution | Wine is food. 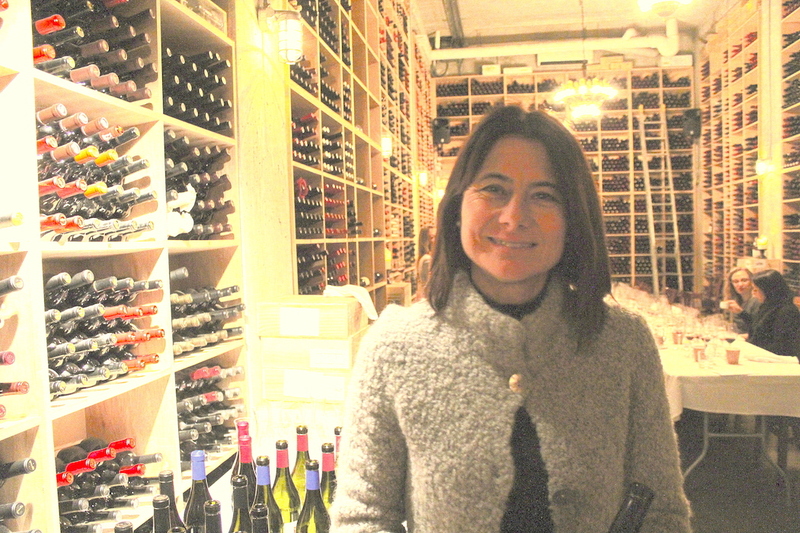 Barbara Sandrone in the wine cellar at Barberian’s. It has become accepted among some popular writers on the subject to assert that there are no rules in wine. That’s ridiculous, of course there are. One very important rule, for instance, is that if you’re invited to a Barolo tasting, you go. Unless you’re used to flying privately, or are one of the very top illuminati of wine criticism, the opportunities to taste Barolo, especially Barolo with a pedigree, are never going to be as plentiful as you might like, so you take them. It was in this spirit that I accepted (quickly) an invitation to lunch this week with Barbara Sandrone, who was in town to promote her family’s Sandrone wines, made by her father, and winery founder, Luciano and her uncle Luca. When I say that Barbara Sandrone’s trip to Canada was to promote her family’s wines, it’s advisedly. Since the demand for them far outstrips the supply, the main purpose of her visit seems to be more about managing their allocation than trying to find buyers. Certainly the women and men who joined us at lunch, in the big subterranean wine cellar at Barberian’s steak house, who actually buy cases of the stuff for the fancy restaurants in which they work, were mostly interested, apart from the usual curiosities about the winemaking, in how much or which label might be made available to them. Barbara Sandrone is a charming lady who speaks fluent English and holds an encyclopedic knowledge of her family’s winery and vineyards. Her father Luciano, who is 72, founded the winery in 1978 after working for Borgogno and making wine for Marchesi di Barolo. He is joined by Barbara’s uncle, Luca, who is a full 20 years younger than Luciano, so while technically there is not a inter-generational transfer of winemaking responsibilities going on at Sandrone, practically speaking there is. Barbara Sandrone explained that her father was a literal garagiste who actually made wine in his garage before the family opened their all gravity flow winery complex in 1998. The family’s 40 year history in Barolo, and the neighbouring DOCG of Roero, tracks well with the meteoric rise in the reputation of, and demand for, the region’s red wines. Barolo wines are sometimes described as “traditional” or “modern” (or “modernist”) in style after a kind of schism in viniculture that came about in the 1980’s as consumers demanded fruitier wines that were easier to drink young – wines that didn’t require the extensive ageing required to soften the Nebbiolo grape’s tannins. (For a better, and more colourful, description of the war between traditional and modernist Barolo producers, see Emily Bibona’s recent GFR post on the matter here.) Luciano and Luca Sandrone sit somewhere in the middle. They are certainly not making rapidly ageing wines, but they’re not afraid of modern techniques. The result, as I experienced in the glass at lunch, are fresh and virbant wines that are still a little chewy with tannins even after 10 years and definitely built to last. We began by tasting Sandrone’s two non-Nebbiolo reds the 2016 Luciano Sandrone Dolcetto d’Alba and the 2015 Luciano Sandrone Barberra d’Alba. I am always excited by Dolcetto because it’s the Piedmontese red wine I am most likely to be able to afford, and while Sandrone’s is not cheap at $29.95, at a reasonable mark-up it would make a great restaurant pick, for lunch or lighter fare. Fine and lively, cherry fruit forward and versatile. Barbara Sandrone suggests pairing with antipaste, since it ought to work with everything. Who am I to argue? Things get deeper and a little more complex when we move to the 2015 Barberra, which gets a bit of large format French oak. And yet there’s terrificly fresh acidity and bright fruit coming from the grapes grown at over 400 meters elevation. That this is a more serious wine than the Dolcetto is indicated by the price of just under $50. Barbara Sandrone says it’s the perfect match for vitello tonnato, Piedmont’s famous dish of rare veal and tuna inflected mayonnaise. The next four wines were made exclusively from Piedmont’s noble Nebbiolo grape. In fact, the first wine we tried is labelled by its constituent varietal instead of its DOCG appellation just to make this point. The 2015 Luciano Sandrone Valmaggiore Nebbiolo d’Alba could, by rights, be labelled as a Roero DOCG. Barbara Sandrone explained that he family prefers to label the wine as nominally less prestigious Nebbiolo d’Alba because the Roero producers are allowed to blend in other local varietals with their Nebbiolo and Luciano and Luca wish to make clear that they do not. I can see why because this wine very pleasantly challenges some pre-conceptions I have about Nebbiolo by showing some red fruit notes, including cranberry, along with the characteristic dark cherry. Through the gripping tannins of still very young wine was a real life force. Perhaps there’s magic in the hill vineyard of Valmaggiore. Barbara Sandrone showed us pictures of it; it’s an almost perfectly formed natural amphitheater. I am not this wines only fan, as The Wine Advocate has given it 93 points, so for only $59.95 it could be considered something of a bargain. If I had the budget, a case would find it’s way into my cellar, where it would stay unmolested for a good five years before trying it again. Things got serious for the next three wines, all of which are designated with the Big B DOCG. (Why do so many luxury appellations start with the letter B? There’s Barolo, Barbaresco, Brunello, Bolghieri, Bordeaux and Burgundy just off the top of my head.) We tasted in sucession the 2013 Luciano Sandrone Le Vigne Barolo and the 2013 Luciano Sandrone Aleste Barolo. Le Vigne means the vineyards, and it’s a blend of Nebbiolo from three of Sandrone’s in divers sub-regions: Serralunga d’Alba, Castiglione Faletto and Novello. 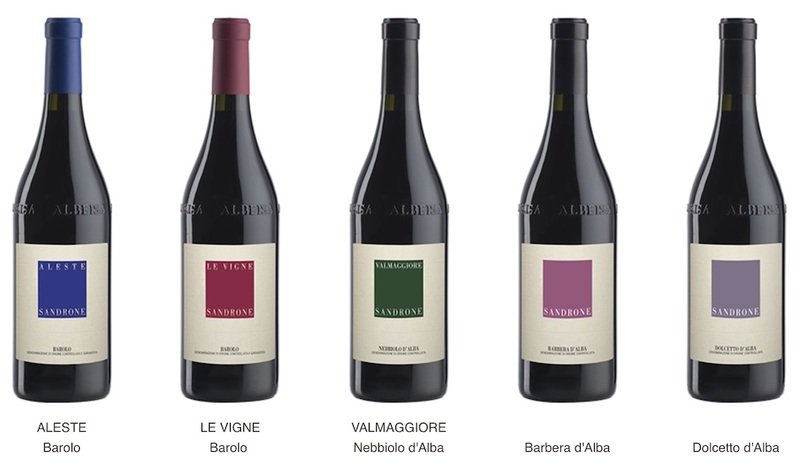 Aleste, which takes its name from Luciano’s two grandchildren, Alessia and Stefano, is sourced from a single vineyard on Barolo’s prestigious Cannubi hill, was just nenamed for the 2013 vintage and was previously called Cannubi Boschis. First, here’s how the two wines resembled each other: classic Nebbiolo notes of fresh acid and cherry fruit bound together by really chewy and gripping tannins. These wines want to be put down for some time! But under that each has some very interesting and complex things going on. There is, to borrow Barbara Sandrone’s word, a finesse to Le Vigne ($159.95) and some brighter notes. The 2013 Aleste ($184.95) came out as darker in it’s fruit and maybe a little spicier. Tasting young Barolo is something of an exercise in divination, one could see the appeal and fun of putting these wines down and coming back every few years to see what’s happened. The final wine we had with our lunch with Barbara Sandrone was a 2007 Luciano Sandrone Le Vigne Barolo. This bottle is part of a 10% hold back program at the Sandrone winery called Sibi et Paucis (‘For the few and favoured’). Wines from Valmaggiore, Le Vigne or Aleste bottlings are held in their cellars and released roughtly a decade after being made. The program is in part designed for restaurant cultures where it’s difficult to put down wine, either because of regulations (like in Toronto) or just space (like in New York). My note for this $200 wine is “still crazy young”, meaning the tannins were still quite pronounced, but out of it’s backbone of fresh acidity came some lovely and interesting secondary flavours over the dark cherry: a violet floral note and maybe a bit of macchia or dry herbs. It was exquisite. Luciano Sandrone wines are represented in Ontario by The Case For Wine agency. Contact its proprietors, Roberto Albis and Ruben Elmer through their website to find out how to order these lovely wines. Since The Case For Wine is a Good Food Fighter whose financial support makes publishing GFR possible, I’ll disclose my interest in their success and urge you patronize their carefully chosen selection of fine wines.